Spring has officially sprung in Nelson! With trees and flowers starting to bloom, it’s important to know what plants will require your pruning attention. Seasonal maintenance is necessary to keep an attractive garden, so we thought we would provide you with a few insider tips. 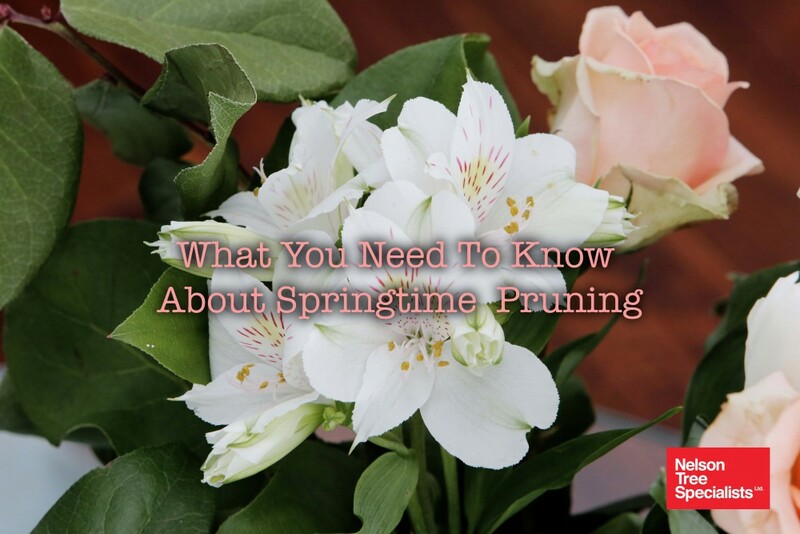 What plants do you need to prune in spring? Trees. Remove dead and diseased wood to encourage growth without damaging the health of the tree. It’s important to “check before you chop” by contacting Nelson Tree Specialists. Our qualified arborists can help you determine the best option for the tree in question. Shrubs. Remove dead and diseased stems from bushes to keep them looking healthy. To keep hedge plants looking nice, they need to be trimmed all year round. Flowers. Flowers should be pruned as soon as blooming finishes. Roses typically bloom during winter but some may bloom in spring. These should be pruned immediately after blooming. Summer-blooming plants – such as fuchsias, hibiscus, impatiens, plumbago, geraniums, abelia, buddleia. Frost damaged parts of plants. For tips on how to prune click here. What plants have you noticed beginning to bloom in your garden? What tips do you have for pruning in Spring? Please share your comments below, we would love to hear from you! H Check Out NZ's Best Arborists In Action!